The quality of gluten-free products has improved dramatically over the past decade or so, but texture still represents a major stumbling block for manufacturers. How have gluten-free specialists tackled textural challenges? Gluten, the protein in wheat, rye and barley, provides the light, open and airy quality associated with ordinary wheat bread. Without gluten, baked goods have a tendency to be dense and may be dry, while some gluten-free flours also add a gritty texture. According to Innova Market Insights, the number of new products making a gluten-free claim grew an average of 24% a year from 2013 to 2017. As the demand for gluten-free foods has taken off, manufacturers have been investing in innovative solutions to solve the textural problems associated with gluten-free products. In the past, using hydrocolloids like xanthan, gellan, locust bean and guar gum was a go-to approach – and these can help with texture when used advisedly – but companies are beginning to turn away from these ingredients as consumers increasingly demand more recognisable ‘kitchen cupboard’ ingredients. Hydrocolloids may also contribute to textural problems when used in excess, causing a gummy or slimy mouthfeel, for example. In conjunction with mild-tasting gluten-free flours made from rice, potato or tapioca, hydrocolloids are useful to help replace the structure and binding qualities of gluten – and for many mild-tasting products, like cookies, muffins and bread, these ingredients are still among the best options. Meanwhile, finding another protein source to replace the gluten protein is another approach that has been gaining in popularity. The protein may be from pulses, such as chickpeas, lentils and fava beans, and several companies are now producing 100% gluten-free pastas using such ingredients. In baked goods, Warburton’s, the UK’s largest bakery brand, partnered with the Canadian International Grains Institute in 2016 to help improve the functionality of pulse flours and increase their use in industrial baked goods. Apart from adding texture, pulse ingredients tend to have strong nutritional credentials and are often more nutritious than their gluten-containing counterparts. 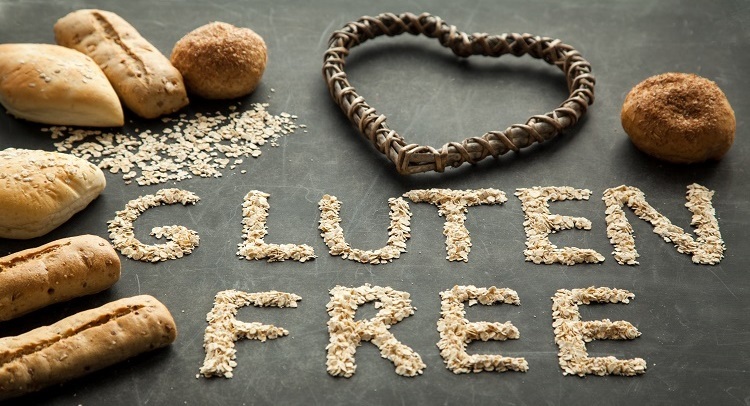 This has become more important to gluten-free consumers in recent years, as they have become increasingly aware of the poor nutritional profile of many gluten-free products. In baked goods, however, pulse-based flours can be gritty, and their beany flavour may be overpowering, leading some manufacturers to look at other options. Flours from gluten-free ancient grains have come to the fore, such as amaranth, teff and quinoa, which contain non-gluten proteins. They are also higher fibre, whole grain options, answering consumer demand for nutritious but recognisable ingredients. Among the companies offering ancient grain ingredients, Taura Natural Ingredients has included chia and amaranth in fruit flakes for use in breakfast cereals, while Corbion Caravan has a range of pre-soaked ancient and whole grains, both with and without gluten, that are not treated with preservatives, so companies can use different grains in baked goods while also meeting clean label demands. In general, the market for gluten-free foods continues to grow rapidly, suggesting that industry innovation in the sector is hitting the mark, even as consumers become increasingly health conscious and food savvy.